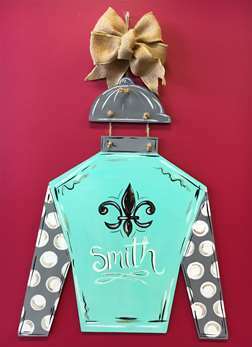 Customize this cute Jockey Silk wooden door ornament! All patrons must be 21 or older. No entry without valid ID.